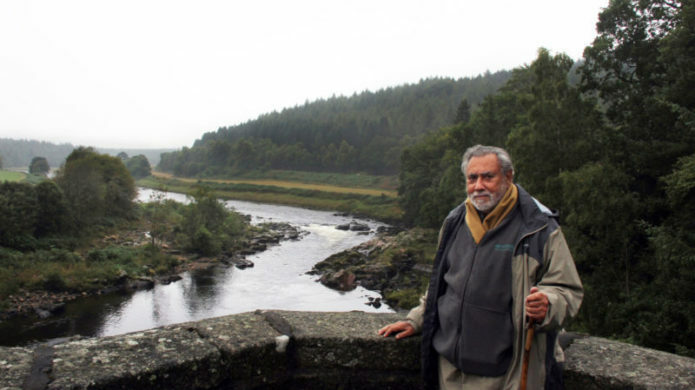 Live streamed from California: Newton Harrison of the Harrison Studioand The Center for the Study of the Force Majeure (CFM) sets out a vision for Scotland and for the River Dee. 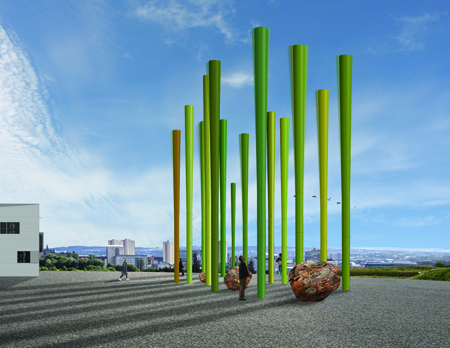 Tim Collins: What is Landscape Justice and Why Does it Matter? In the second of two pieces resulting from Landscape Research Group(LRG) events, Tim Collins (with input from Reiko Goto) reports on the Debate focused on Landscape Justice held in London on Wednesday 7 December 2017. Blued Trees Symphony is a musical composition painted on trees across 50 acres in a forest that lies in the path of the Algonquin Incremental Market (gas) pipeline. The intent was to contest Eminent Domain(understood as Compulsory Purchase in the UK) by establishing an artwork copyrighted onsite, painted on trees as part of the forest. The Visual Rights Act (1990) would then be used to prevent mutilation, or modification of the artwork, actions prejudicing the artist’s honor or reputation. This is the final blog from Holly Keasey written in October some months after her return from Santa Fe. Holly reflects on her apparent diversion from her intentional misunderstanding of the ‘rights’ in Water Rights to be equivalent to the ‘rights’ in Human Rights. 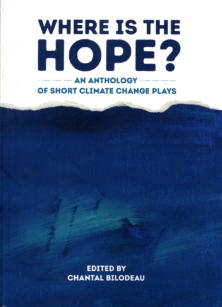 The delay in publishing it is entirely the responsibility of the ecoartscotland editor. We have come a long way. But we still have a long way to go. There is still today a frontier that remains unconquered — an America unclaimed. This is the great, the nationwide frontier of insecurity, of human want and fear. Taken at the Bradbury Museum, Los Alamos. It has been over three month since I left Santa Fe and a month since my first attempt, to write this final post – an attempt that hammers home the difference of focused residency periods and trying to creatively think in between paid employment. To try and find my way back into the particular space I created for myself whilst at the Santa Fe Art Institute (SFAI), I turned my attention to questioning why – when I set out to investigate how to establish a role for critical public art practices, and what shifts in public arts policy are necessary to facilitate such practices by focusing on the role of policy and particularly water rights – did I end up spending the majority of my time in New Mexico conducting an ‘Atomic Tour’. Is there a reasoning to this shift or did I get distracted? Whilst in New Mexico, I had the pleasure of meeting Sherri Brueggemann, the Albuquerque Public Arts Officer, who explained that the Albuquerque Public Arts Policy, though drafted as an adaptive policy, is predominantly dictated by a requirement of acquisition by the Albuquerque City Council. In short, the commissioning of object-based art that therefore has a long-term economic value and can be seen as a physical addition to their public art collection. For me, this legally stated requirement, and simultaneous reduction of public art to the manifestation of an monetarily-valued object, presents a clear link to a mind-set that is embedded in property. As has been reiterated in a previous post, water rights are also directly linked to property, and hence property rights, in that they are focused on a possession-to-use/entitlement-to-ownership ethos. Yet, due to an on-going interest in the expansive role of water, I was interested in how this could be swung into a relation with human rights ( the “rights” inherent in being human, to do or to have simply because they are human) through a simple play-on, or rather, intentional (mis)interpretation of language. What is water allowed to be, to do and to have simply because it is water? And how could such an ethos be applied to all living beings and elements of the Earth? And what effect would this have on humanity’s current resource-focused trajectory if we were to accept and take on board such rights? This led me to consider if non-specialists in policy could misinterpret a policy – or rather interpret it differently whilst legitimising their reasoning for this interpretation of language. Is there a potential to give and in giving policy multifaceted meanings? To understand the potential of this shift (or strategy of misinterpretation), I chose to conduct site-responsive re-search into the role of water and property rights in New Mexico, which in turn led me to be ‘willingly lost’ in the history of the nuclear as a significant specificity to New Mexico’s history. An inescapable element of my ‘Atomic Tour’ was the development of nuclear weapons and a need to understand what drove such an invention, its use and continued use as a method for ensuring maintained peace – a peace facilitated by threat and fear. The construction of ‘property’ and it’s relationship with fear also led me to the ‘Atomic Tour’. In 1900, over 12,000 Japanese citizens immigrated to the U.S. mainland, many just released from indentured labor with Hawaii’s 1898 annexation. California became a focal area for settling and farming a key economic foundation for the Japanese population. However, the sudden increases in Japanese immigration spurred the spreading of the xenophobic theory of the ‘Yellow Peril’, with some fearing that the Japanese were attempting to overtake white control of California’s farmland. This resulted in the implementation of The California Alien Land Laws of 1913 and 1920, that prohibited “aliens ineligible for citizenship” from owning agricultural land or possessing leases over it or owning of stock in companies that acquired such land. 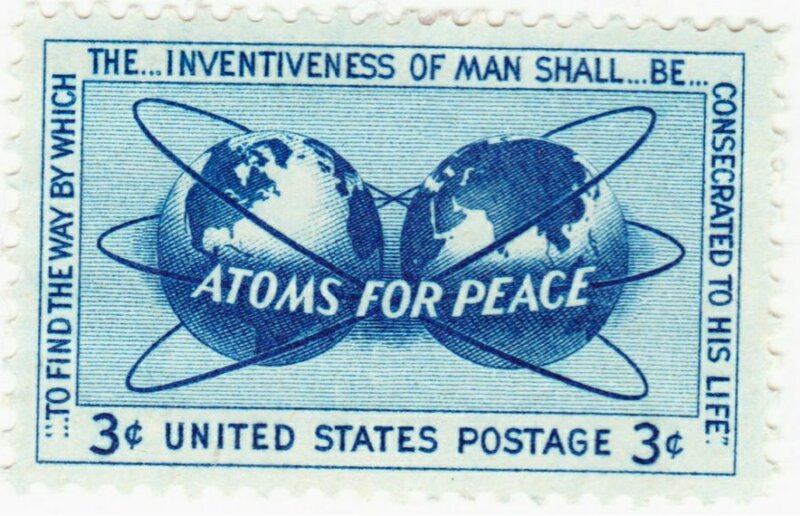 Although only one early action in an extensive web of global imperialist territorial power struggles, trade route deals and resource embargoes that ultimately led to the attack on Pearl Harbour and the nuclear bombings of Hiroshima and Nagasaki on August 6 and 9, 1945 respectively – the California Alien Land Law, for me, epitomises the driving relations in a number of dimensions. The Act highlights the role of policy in the formation and maintenance of a static national identity as a meditation on the significance of land as property. Finally it makes clear the invisible violence located in such policy-making that is implicitly driven by a fear of the ‘other’ or how I would term a fear of the uncontrollable potential located in difference. 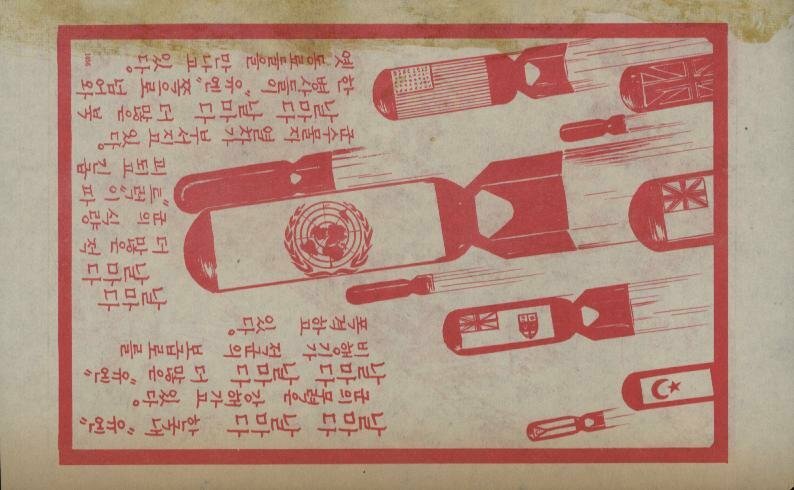 Psychological Operations leaflet. Image taken at the Bradbury Museum, Los Alamos. Nicolas Bromley writes that, ‘…force and violence are the nemesis of property and their frequent use is a signal that a property regime is faltering…’ and yet that, ‘…law requires the construction of a constituted outside with reference to, and against which, it sets itself apart. And violence is integral to its construction.’ The development, imagined-threat, use and now threat-as-use of the nuclear bomb, therefore could be seen as the site where literal and imaginings of the extremes of globalised property as an individual right, and therefore the fear such a notion requires and perpetuates, are given location. It is in this act, of identifying ‘threats’ and establishing a legal policy of property rights to ensure security, that simultaneously identifies a feared ‘other’ that must always sit out-with a law in order to maintain the need for a law, that I feel there is a use in noticing a scalable relation between gentrification and the emotional underpinning of the nuclear. Yes, gentrification is embedded in a capital-based power system that thrives on establishing replicable exclusivity and social divides, but in order to dream of an alternative, maybe there is use in investigating how we approach and deal with that which we fear, especially in relation to difference and our prioritised entitlement to survival which currently manifests as possession-to-use. From the above approach, I wish to move from property back to water, and water rights. In a previous post, I spoke of the Santa Fe River as a site of complexity. Site as verb – the act of giving location. This understanding of the river, and water more generally, does not so easily allow a single concept of rights as the regulation of distributing powers to control valued resources. I wonder if it is here that I am also able to locate a site to develop potential towards ecological-sensitivity in developing multi-faceted interpretations of policy, through a focus on water rights? A form of policy that is shaped through giving location to difference and hence not responding to fear as something to be excluded, but rather an emotion we must learn to sit with until difference itself, rather than specifically that which is identified as different, unknowingly shifts to the familiar. Could the formation of such an idea be developed by reflecting on my own process of overcoming the fear of feeling out-of-place, due to constant travelling? By allowing myself to get lost and over-time become familiar and give-site to my fear through a relational and scalar approach to the fear embedded in the nuclear? And how could the development of a critical public artwork that focuses on policy, gentrification and property act as a generative challenge to legal regulations that stipulate that Public Art practices must result in an acquisition, either as an object or even as Culture for the purpose of increasing capital-attractiveness of an area? I will continue to develop this as part of my body of work that considers Water Sensitive Urban Design (WSUD) as a theoretical modelling system for alternative forms of urban planning and where my practice, that focuses on water as a tool to criss-cross theory and ecological concerns, could be situated within such a model as a challenge for critical formations of public art practice. During 2017 we published articles on a wide range of projects ecoartscotland is involved with, new commissioned writing, reports from various artists, as well as sharing articles from other blogs. 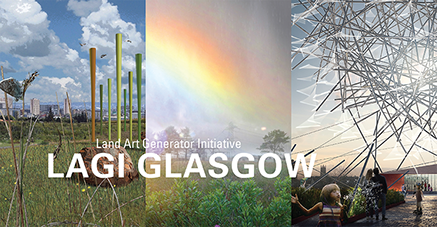 As part of ecoartscotland’s ongoing work with the Land Art Generator Initiative we toured the exhibition of the Glasgow project to the Tent Gallery at Edinburgh College of Art and also to the Robert Gordon University, Aberdeen. Newton Harrison working with The Barn, Banchory on the ecological health of the Dee and Don Valleys. The video of the lecture Newton gave has now been put online. We helped the Wetland Life project recruit artists and we look forward to providing an update on this work during 2018. Focusing on ‘wonder’, we published a curator’s reflection on the Murmur exhibition by Jonathan Baxter. The Connecting with a Low Carbon Scotland conference, the culmination of the research programme funded by the Royal Society of Edinburgh was written up by Professor Anne Douglas. The Research Report is due to be published in the Spring. We reported on The Same Hillside, the result of the art science collaboration between Professor Pete Smith and Gavin Wallace focused on ecosystem services assessment, and on A Field of Wheat, Culhane and Levene’s project that enabled us to participate in producing food. Juliet Wilson reviewed Camilla Nelson’s Apples and Other Languages. Minty Donald reviewed the Collins and Goto Studio exhibition A Caledonian Decoy. Ewan Davidson reviewed the Center for Genomic Gastronomy’s Gut Gardening. The year started with a series of blogs from Holly Keasey during her participation in the Water Rights residency at the Santa Fe Art Institute which you can read backwards by following this link. 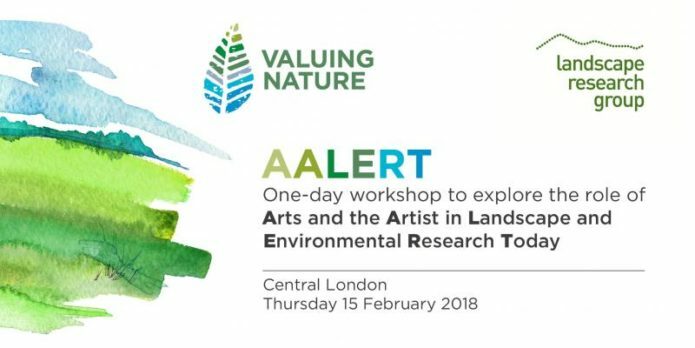 We also appear to have failed: we tried to persuade the Leverhulme Trust to maintain its Artist in Residence Award Scheme – unfortunately there is no sign that this worked although a lot of people wrote letters and a-n also commissioned a piece from us. More on wetlands including blogs from Hannah Imlach who was in Flow Country in the North of Scotland and Rob Mulholland from Cheng Long Wetlands in Taiwan. The final reflection from Holly Keasey on her Water Rights residency. A review of Marlene Creates: Places, Paths, and Pauses. More on the work with The Barn and Newton Harrison. 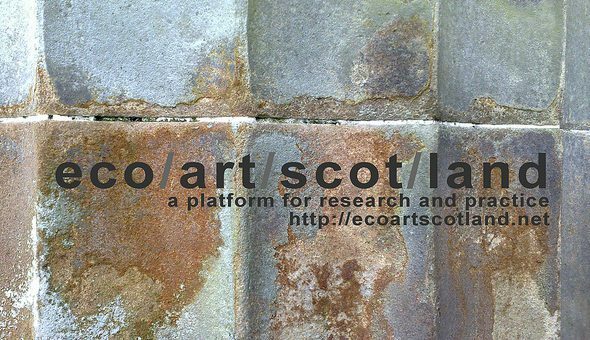 ecoartscotland is a resource focused on art and ecology for artists, cuorators, critics, commissioners as well as scientists and policy makers. It includes ecoartscotland papers, a mix of discussions of works by artists and critical theoretical texts, and serves as a curatorial platform. I’m staying near Bearna village, which is on the edge of the ecologically significant Moycullen bog area in the West of Ireland. On such occasions the basic act of attention that creates a place out of a location would be renewed, enhanced by whatever systems of understanding we can muster, from the mathematical to the mythological, by the passion of poetry, or by simple enjoyment of the play of light on it. Here is a gateway to a land without shortcuts, where each place is bathed in the sunlight of our contemplation and all its particularities brought forth, like those mountainside potato plots gilded by midwinter sunset in the valley of the stone alignment. 2017 has seen me spending many months away from Hollywood forest. Now, I find myself exploring a remarkable archive, a body of work created over four decades by Tim Robinson, that celebrates some of the most iconic land and marine areas of the West of Ireland. I thank Dr. Nessa Cronin of the Moore Institute, National University of Ireland, Galway, for inviting me to apply for a month-long Visiting Fellowship that is giving me access to Tim Robinson’s remarkable legacy. Also thanks to Dr Iain Biggs, my PhD supervisor, who encouraged me to take this opportunity. Since 1972, Tim Robinson with the support of his partner Mairead, has created a nationally acclaimed body of work that celebrated and mapped the Aran Isles, the Burren and Connemara. Initially, I was a bit unsure how my creative practice and research would connect with the archive. I was thinking how would I relate to the tree-less landscape that is the West of Ireland, but I was soon intrigued how Robinson developed an extraordinary ecology of creative practice.This practice, developed over these decades, embraced map-making, ecological and archaeological studies, local histories and folklore, and writing to deeply map and highlight overlooked values of these areas. Reflecting the significance of Tim’s work to the Irish nation, is that he is a member of Aosdana (an affiliation of artists who have made an outstanding contribution to the arts in Ireland) since 1996, and he is a fellow of the Royal Irish Academy since 2011. Robinson, drawing on his background in visual arts, mathematics and physics, and perhaps freshly enthusiastic about Ireland as he was as a visitor to this region (he was born in Yorkshire), created a practice that is far from a simple study of landscape. 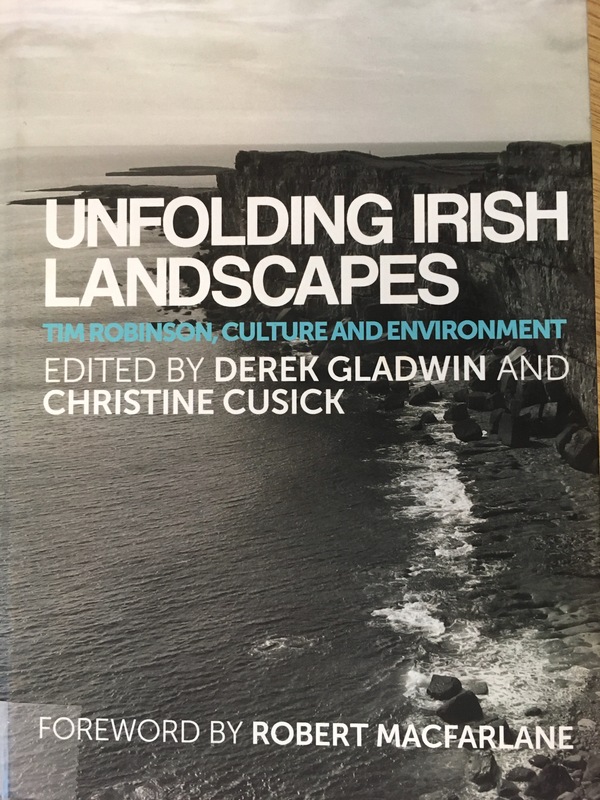 An important recent book to understand Robinson’s many faceted practice is Unfolding Irish Landscapes Tim Robinson, Culture and Environment (2016). A contribution from Irish art and architect researcher Catherine Marshall, indicates that Robinson’s wide-ranging creative practice is less appreciated in the art world than might be expected. She writes that Robinson’s work has been more often examined by literary critics, geographers, historians and other writers (Marshall, 2016, p.191). Notably, she understands that Robinson’s mapping and collation of histories and place names inevitably led to his writing several acclaimed books, Stones of Aran: Pilgrimage (1986), Stones of Aran: Labyrinth (1995), Connemara: Listening to the Wind (2006), Connemara: The Last Pool of Darkness (2008), Connemara: A Little Gaelic Kingdom (2011) and yet, how his practice was informed ‘by an artist’s eye at all times’ (p.198) (a sense of Robinson’s work can be seen in the video below). She recognises that Robinson’s aim was to find a way to link the particular to the global and the mythic (p.197), and she briefly mentions how his work connects to other’s creative practices as established by Deirdre O’Mahony and Alan Counihan and Gypsy Ray who have created similar wide-ranging and comprehensive eco-social ‘mapping’ projects in Ireland (p.199). However, the final contribution in this book by ecocriticism researcher, Eoin Flannery in his ‘Essayist of Place: Post-Colonialism and Ecology in the Work of Tim Robinson’, signals how Robinson’s constellation of practices are now viewed as contributing significantly to the developing ecological (environmental) humanities discipline, of which ecological art practice is increasingly recognised as a vibrant field of enquiry. To my mind, Robinson’s creative work is an exemplary example of a developed ecological practice. Ecological art practices are perhaps better described as eco-social art practice (as they bear similarities to social art practices). 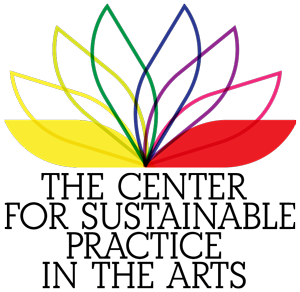 Such practices involve organising activities and insights from lived (lifeworld) experience and diverse disciplinary knowledge, and are motivated by ethics, learning and action. 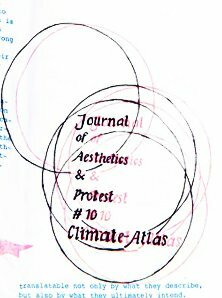 Practitioners of such practices are not to the fore of such projects, rather they work transversally to encircle an emergent ecosophy, a philosophy of living well in a specific location (originally described by French therapist, political activist and theorist, Felix Guattari). They foster a reflective, collaborative and comprehensive effort, “without shortcuts”, as Robinson says, to understand our cultural values, or lack thereof, to our life-supporting environments. Iain Biggs, who also undertook a Moore Institute visiting fellowship in 2014, has explored such ecosophical projects (looking at the creative practices of Deirdre O’Mahony, Pauline O’Connell and my own) in his research article ‘”Incorrigibly plural”? Rural Lifeworlds between Concept and Experience’ (2014). Biggs details how these creative practitioners develop and share workings for their audiences as a result of them inhabiting ‘polyverses’: that these multi-constituent practices champion openness and plurality as they welcome and explore many different ways of appreciating often marginalised rural lifeworlds (Biggs, 2014, p.263). And fostering sensitive, inclusive, region-specific creative practices is important for all our futures given the unprecedented eco-crises we all face (although in Ireland, understanding that culture is 4th pillar of sustainability is still little acknowledged, Fitzgerald, 2017). I can illustrate this further by considering two creative projects detailed in articles sent to me by colleagues this week, one from Ireland and one from Australia. The Irish article, in yesterday’s Irish Times, ‘Connemara village writes its own positive obituary’ (Siggins, 24 August 2017) reveals a local community that feels abandoned by the Irish Minister for Rural Development. However, this community, with the help of creative film-maker and television producer, Sean O Cualain, has set up a bilingual online interactive map and archive of this area’s place-names and rich heritage, that honors it’s ancestors’ livelihoods. 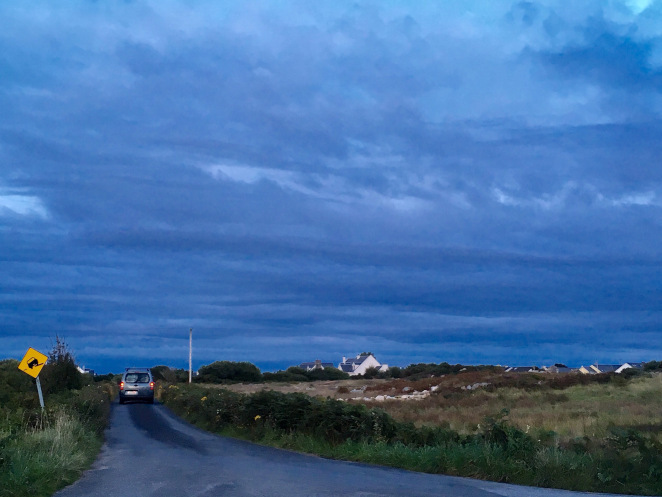 Such efforts contrast what the Irish Times writer Siggins identifies as the official, “the land is worthless” narrative, that is often heard by those, like the villagers in Connemara, who are trying to maintain a sustainable relationship to their land. The Connemara village’s Loughaconeera Heritage website highlights Coiste Scoil Loch Con Aortha, their voluntary organization and their efforts to secure funds to develop an old school as a community facility (you can make a donation here). It’s more than telling that this article ends with a note that a Fine Gael Councillor resigned in April from the post of chairman of the Western Development Commission in protest over government inaction. Likewise, Australian sociologist Laura Fisher in ‘Ecologies of Land and Sea and the Rural/Urban Divide in Australia: Sugar vs the Reef? and The Yeomans Project’ (2017) documents similar narrow-minded, city-based agendas that little reflect or consult with rural realities. She argues the potential for embedded eco-social art practices to offer valuable insights to seemingly intractable farming versus environmental debates. Her research reviews the live, ongoing multi-dimensional creative Sugar vs The Reef? Project (begun 2016), in which creative practitioners Ian Milliss, Lucas Ihlein and Kim Williams, listen and gather overlooked diverse local knowledge to map a regenerative farming appropriate for this specific environment, that borders the sensitive and declining Great Barrier Reef. Having followed Lucas Ihleins’ doctoral research (and I met with Lucas last December), I also admire their use of a blog sugar-vs-the-reef.net to creatively collate and make this project open and accessible to local and further afield audiences. Similarly, I recognise blogging as a creative audio-visual discursive practice that has an immediacy perhaps more readily engaging than Robinson’s preference for detailed literary endeavors, although, of course, both have value (I wondered the other day in the reading room looking at the physical archive how will blogs be archived in the future). Overall, Fisher’s analysis concludes that these ‘projects show that generating compelling, localised, cultural meanings around land use has the potential to be as decisive as scientific intervention or environmental legislation’ (ibid). 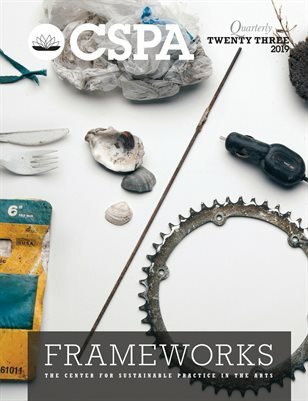 Fisher’s research confirms others extensive studies, such a sociologist Sacha Kagan’s Art and Sustainability: Connecting Patterns for a Culture of Complexity (2011) which analyses that ecological art practices are a significant contribution towards developing relevant instances of sustainability. However, I concur with Marshall above, that such wide-ranging practices are less known than they should be. My recent doctoral research and practice has tackled why these practices pose challenges to contemporary art practice. Importantly, I see common aims and strategies in how these projects develop and are maintained. My research has helped to articulate these processes and I hope to apply my theory and methodology framework to understand Robinson’s and others practices more simply. Biggs, Iain (2014)’”Incorrigibly plural”? Rural Lifeworlds between Concept and Experience. Canadian Journal of Irish Studies, Special issue, “Text and Beyond Text: New Visual, Material, and Spatial Perspectives in Irish Studies”. Vol. 38, Nos. 1+2, 260-279. Fitzgerald, Cathy (2017) ‘Creative Carlow Futures: Art and Sustainability for County Carlow’. A Carlow Arts Act Award study report. In press. Kagan, Sacha (2011) Art and Sustainability: Connecting Patterns for a Culture of Complexity. Siggins, Lorna (2017) ‘Connemara village writes its own positive obituary’ 24 August 2017 Irish Times. [Accessed 24 August 2017]. Thanks to digital archivist Aisling Keane and Prof Daniel Carey, Director, of the Moore Institute for welcoming me to the Robinson archive. Thanks to Mary Carty and Lucas Ihlein for sending me the above articles. in his company on 26th August. Newton Harrison of the Harrison Studio (USA) is an internationally acclaimed artist, who, along with partner Helen Mayer Harrison, has championed art & ecology across the globe since the early 1960’s. 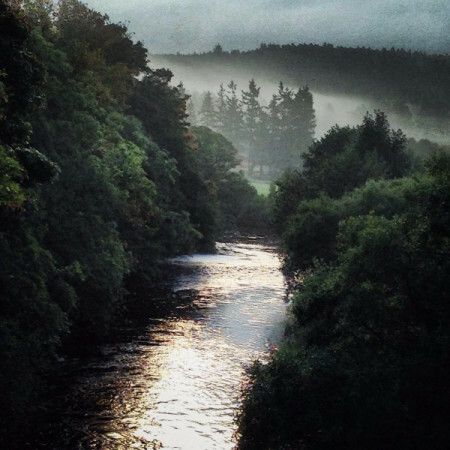 The Barn has invited Newton to visit Aberdeenshire to open a conversation, involving local agencies and communities in exploring the impacts of climate change on our local environment, centering initially on the catchments of the Dee and Don rivers. Following the Harrisons’ methodology, we hope to create a space where all voices can be heard and practical strategies can be formulated and shared.